We were tired of cheap throw-away basics. After one or two washes, the quality and fit just weren't the same, so we wanted to do something about it. 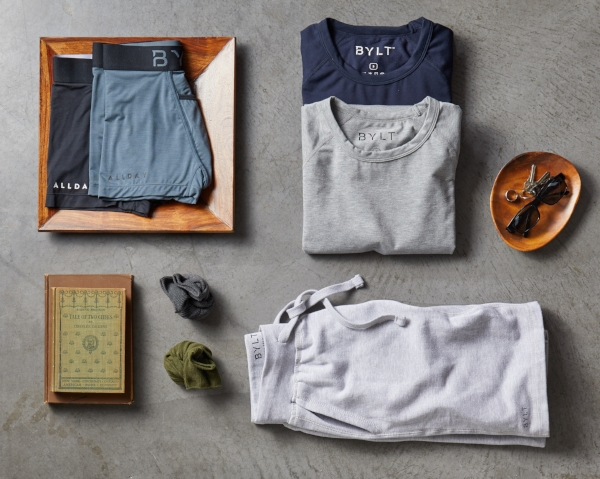 The BYLT team found a way to create high-end premium basics at an affordable price, and ship them directly to your door. By skipping high-cost retailers, BYLT Basics™ can invest in high quality without the price tag. Working directly with our manufacturing partners allows us to spin and weave completely unique fabrics. Each of our garments undergoes a development process where fabrics and technology merge. Fit, design, and material selection is a key component to our design process. We've developed new fabric technologies that have advanced comfort and quality, so you can have longer-lasting basics. Most orders will ship from our warehouse in 1-2 business days after your purchase is made. We are so confident that you'll fall in love with our products, that we'll fully refund you for the cost of your first basic shirt or underwear. Read more about our guarantee here.